What a great idea! A really useful, simple, straightforward way of having extra peace of mind. Great products simple but informative and delivered quickly. Would recommed to others. Very discreet card....for young adult with high functioning autism....fits neatly into his wallet l, he is happy to carry with him as tucks behind his other cards! 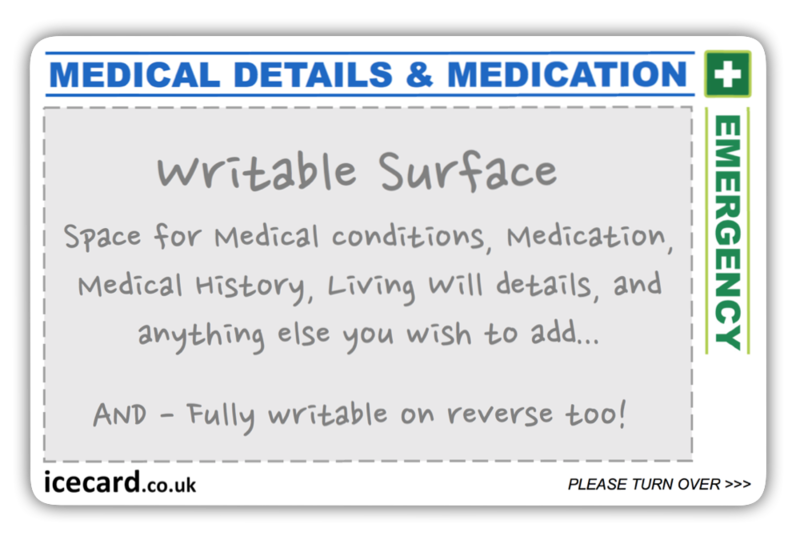 As my lad is autistic and sometimes has trouble explaining himself what could be better than to carry a medical card explaining this. Well worth getting. I have standard ones for when I'm cycling. Absolutely brilliant idea.